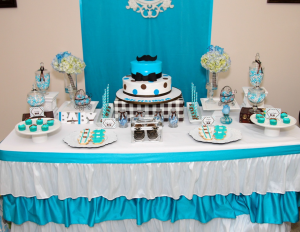 Searching for the best décor for a baby boy party? 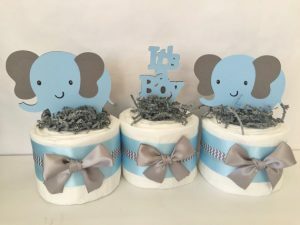 You have been browsing the net and still haven’t found ideas on baby shower decorations for boys? 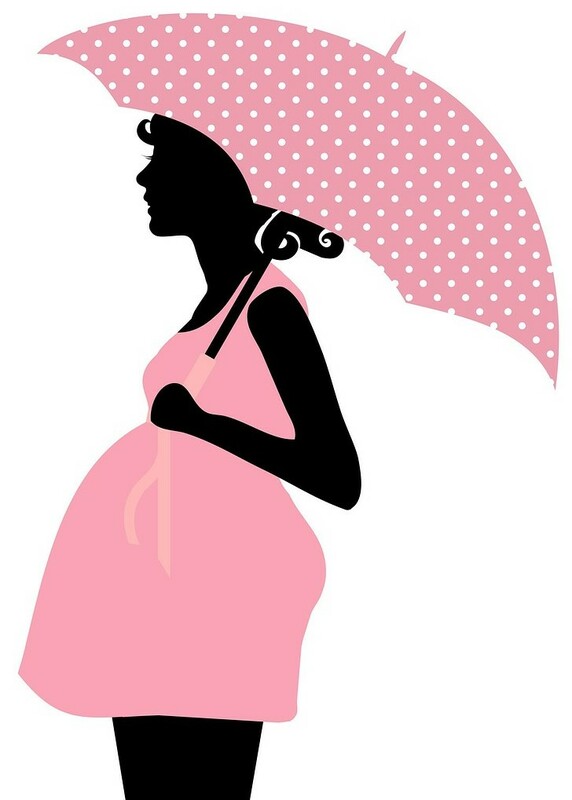 You are lucky, at least you know what gender the child will be. You are one step ahead! Greet your guests with a warm welcome sign on your lawn or have the one above placed on the front entrance table. Make a backdrop like the pictures above. You can make them with anything from paper garlands, fabric, paper rosettes, balloons, etc. Check out these garlands, they are around 12 feet each – pack of 6. These can be used any way you want – why not hang them from the ceiling. The table can be decorated with some type of skirt. Again this can be made from anything, even blue tulle. Every decoration you buy or make adds glam to your bash. A plain wall can be transformed to something really pretty and colorful. Many decorations can be bought online. The variety is larger than in stores, and often they are on special. The only draw back is that you can not touch them or see them up close. However most of these online stores have good return policies. 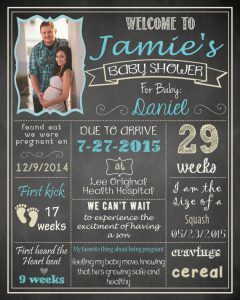 Find out more unique baby shower decorations and other baby shower ideas for boys. 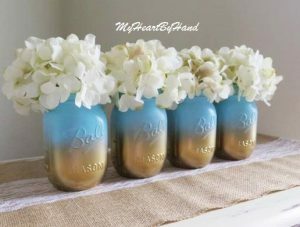 Easily recreate these mason jar centerpieces with paint and flowers. 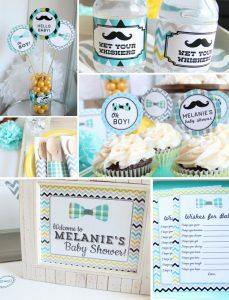 You can add some twine and some mini pacifiers or other baby items to match your theme. A party is never complete without a cake. Why not glam it up with a sparkly cake topper. 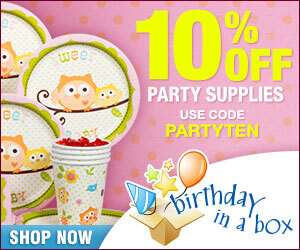 These toppers are inexpensive and add so much to the cake. Even a plain cake you baked will give just the right touch. 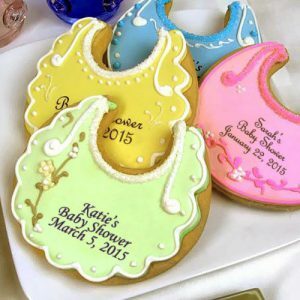 What about custom baby shower cookies – not only do they taste great but you can always give them out as favors! The common and evident color for boy showers is blue. It can be different shades from soft pastel blue to dark royal blue. However, depending what type of theme you have chosen, the color schemes can be almost any color (except pink of course!). These paper fans I really love. The kit has 6 of them with three different sizes. They come in many different colors to match any party. It gives a good coverage so you can hang them on a wall as a backdrop. 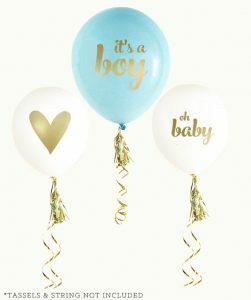 The cheapest decorations are of course balloons. 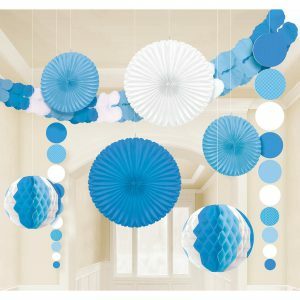 You would be surprised on how balloons can add effect and fill up your room. You should have helium in them to let them float up. These can be ordered at your local party store, or rent the helium tank separately. You can arrange them the way you want, they can be pacifiers, in an arch shape. Don’t forget about making mom the center of attention by giving her a sash or corsage. Maybe even a tiara! 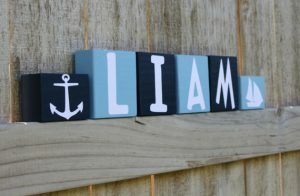 I also like lanterns with ‘It’s a Boy’ written – they add different texture. You can always add mini battery operated lights to them. Banners are another idea you might like to think of. 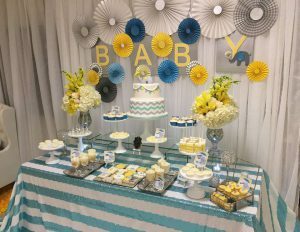 One big banner hanged over the main table (buffet or dessert) with some saying such as Jen’s Baby Shower or Welcome Baby Max. The banner usually anchors party décor. A sign can be also added to your list. A sign for the photo booth or at the entrance door or table. 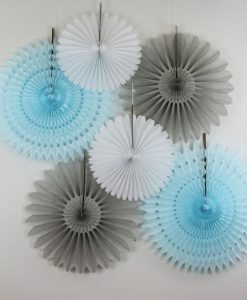 Hang these whirls around the house or front entrance. Pack of 5 so you will have enough for one room. Garlands with paper pom poms and/or chinese lanterns is often included in embellishing the place. Streamers and ribbons can be other paper décors you can suspend. 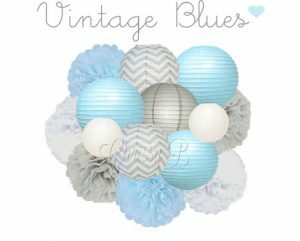 Below are these pacifiers that you can hang or use them as table centerpieces. 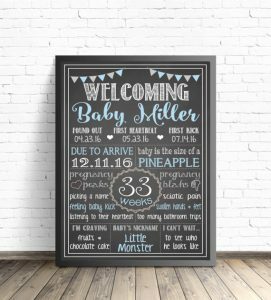 Baby shower kits are something of a good thing, they come with everything required to spruce up a room. Also, buying kits is less expensive than buying them individually. You can always add few more items. Below is a simple one for the moustache/little man theme. 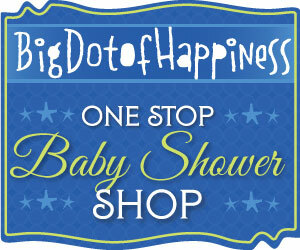 There are also deluxe baby shower kits. These have paper lanterns and tissue poms poms. It comes also in different themes, this one is Vintage Blue. Display these pretty favor boxes on a table. These will impress everyone. 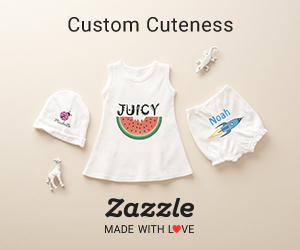 Cute and simple – you can add anything you want in them. Never forget the impact of a candy buffet. Get these assorted candies. Place them in inexpensive jars and get these cheap mini scoops so guests can easily get some delicious candy! 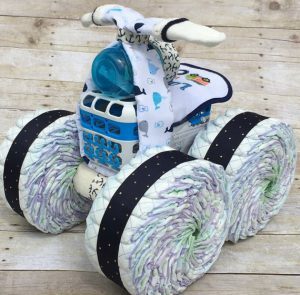 Looking for something unusual, you can have baby diaper cake made in a shape of a bike or car. All the items can be reused by the parents, so this is decorations you will not throw away. 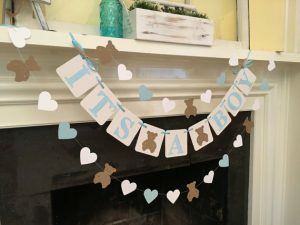 Dress up a teddy bear with boys clothes in that theme or display some baby shower gifts for boys all around the room (hopefully with same theme). A grand cake made around the theme is a must for every celebration. 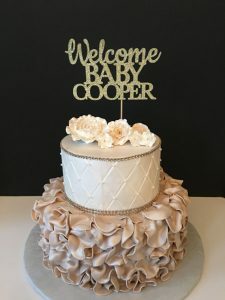 Add a cake topper with the baby’s name. 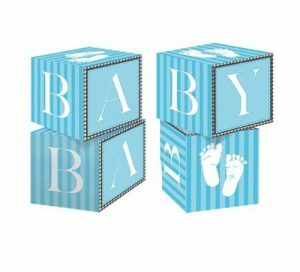 Stackable cardboard baby blocks with the word BABY or the boy’s name can impress the guests! Guest tables have to be also decorated. Tablecloths matching you color theme, or white tablecloth with colored plates. You might want to check out printable decorations. These are made in different colors and themes. 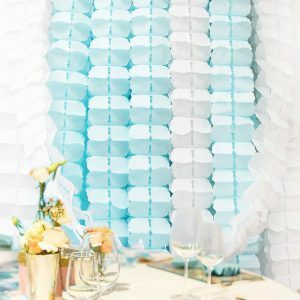 This can be an easy and simple way to decorate for your next event.